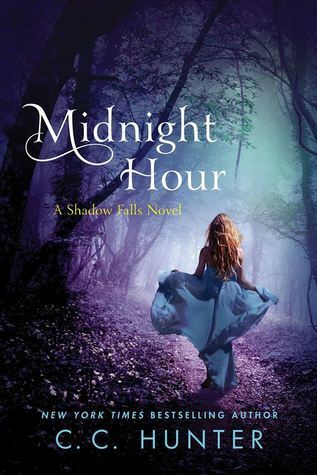 C. C. Hunter is the author of the young adult fantasy series Shadow Falls, which includes the books Born at Midnight and Awake at Dawn, along with the Shadow Falls: After Dark series, which includes Reborn and Almost Midnight. She grew up in Alabama, where she caught lightning bugs, ran barefoot, and regularly rescued potential princes, in the form of Alabama bullfrogs, from her brothers. Today, she's still fascinated with lightning bugs, mostly wears shoes, but has turned her focus to rescuing mammals. She now lives in Texas with her four rescued cats, one dog, and a prince of a husband, who for the record, is so not a frog. When she's not writing, she's reading, spending time with her family, or shooting things--with a camera, not a gun. C. C. Hunter is a pseudonym. Her real name is Christie Craig and she also writes humorous romantic suspense romance novels. This can't be the end!!! Im so sad that this is the conclusion!!! This is the book I've been waiting for!!! Its in Miranda's POV and wow just wow!!! Words can not express how I feel! I love that although Miranda is a witch she is not perfect in any way. She has dyslexia which being a witch with that.......Its not the easiest thing to over come. This was the perfect way to conclude this story. This author has an amazing talent to make you laugh, cry, and laugh again all in the same chapter! The relationship between Miranda, Shawn and Perry was just perfect! I loved that they had their issues and again everything wasn't all kisses and rainbows. They had their ups and downs and it worked out to make the story even better. This story had a great flow and had so much in it! Complicated is saying the least and it is def. one that I will be reading again soon. I really hope we get another spin of set in this world because I'm just not ready to say goodbye.